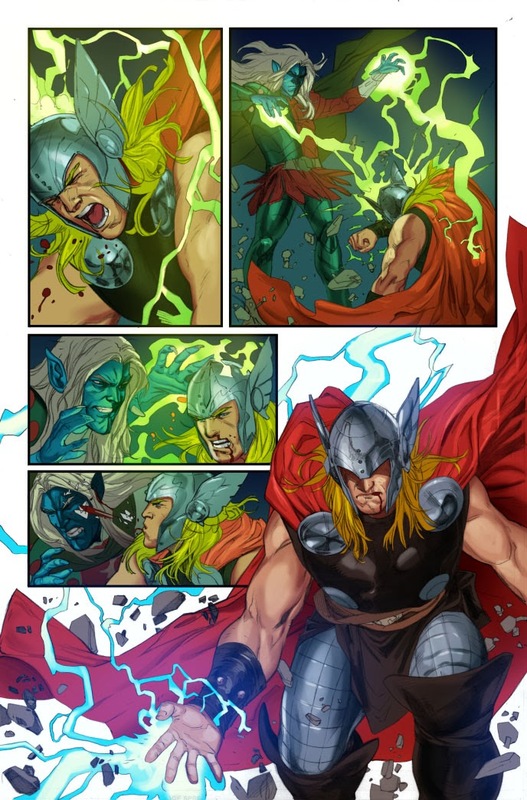 This January, Malekith meets his match in THOR: GOD OF THUNDER #17 – the grand finale of ‘The Accursed’! 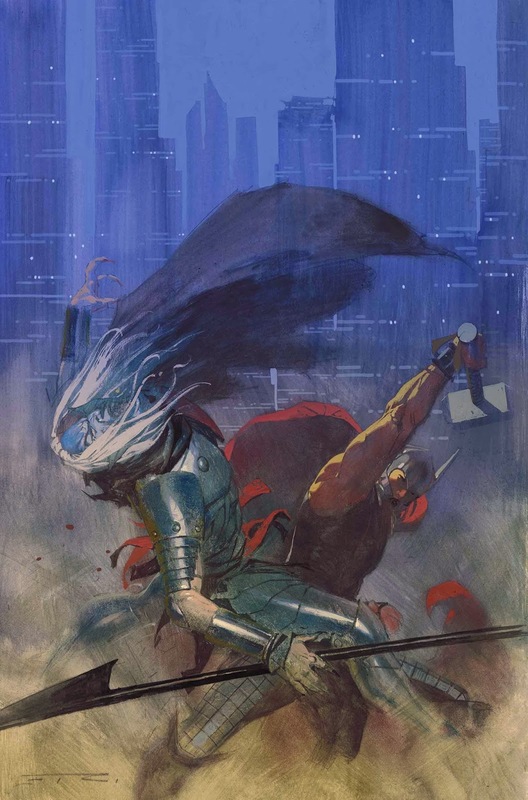 From critically acclaimed creators Jason Aaron and Ron Garney – Thor and the League of Realms desperate chase across the Nine Realms has finally come to an end. Malekith and his Dark Elves prepare to make their final stand against the forces of good. 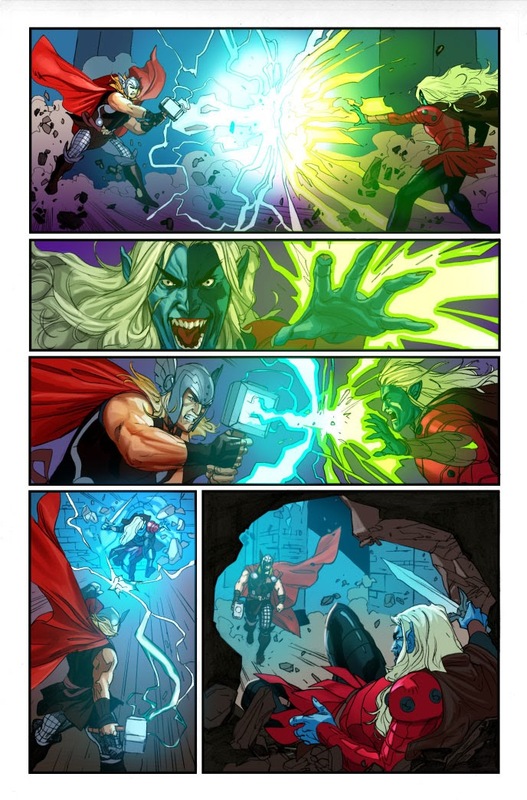 Prepare for the knock-down, drag-out fight you’ve been waiting for as Thor and Malekith battle to the finish as Earth hangs in the balance! Thor and his companions stand ready to defend Midgard – except for the traitor among them! But even as the final battle begins – has Malekith already won? 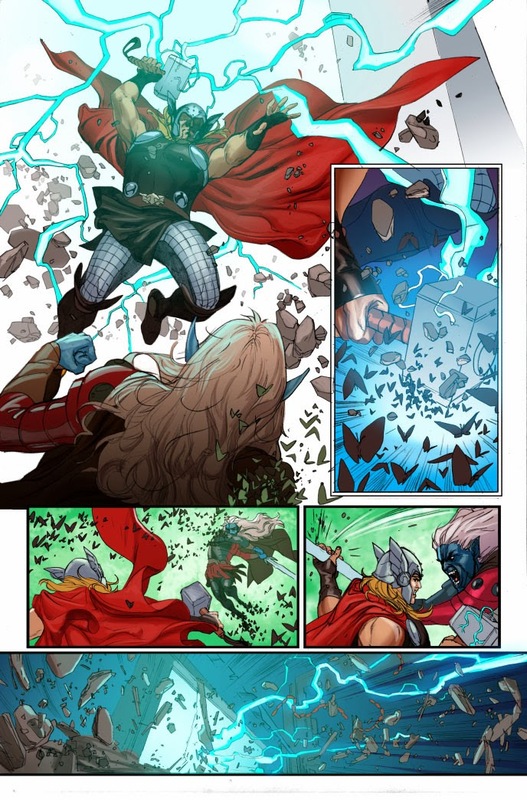 All will be revealed in the climactic THOR: GOD OF THUNDER #17 this January! THE PURGE: Redditt reported list of movies being dropped by Netflix. Just in case you haven't seen it elsewhere yet. This has all but been confirmed by Netflix itself. Not a lot of losses in TV series, but there are a few decent films on the list that will be going away. Times Square Alliance and Countdown Entertainment, co-organizers of Times Square New Year’s Eve, announced today that Spider-Man, New York’s very own super hero, will be named the Official Super Hero of Times Square 2014. He will take part in the Ball Drop celebration, and events leading up to the big night in a partnership with the upcoming movie The Amazing Spider-Man 2™. 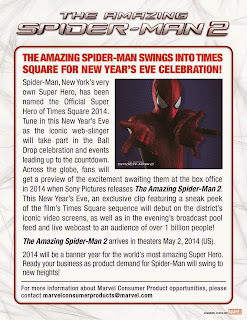 Across the globe, Spider-Man fans will get a preview of the excitement awaiting them at the box office in 2014. On New Year’s Eve, an exclusive clip featuring a sneak peek of the film’s Times Square sequence will debut on the district’s iconic video screens, as well as in the evening’s broadcast pool feed and live webcast. 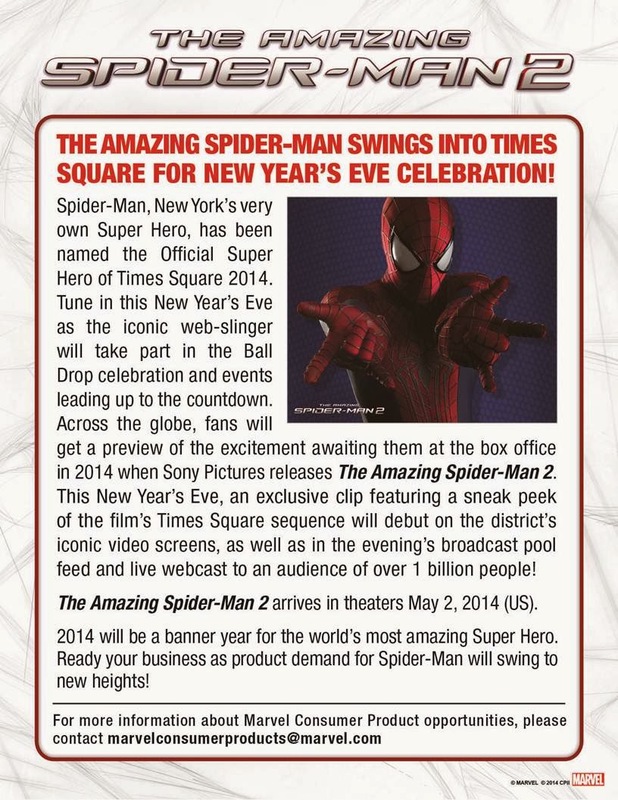 Fans wishing to meet Spider-Man on New Year’s Eve this year may have a chance. Qualifying entrants living in New York City, NY or one of the following surrounding New York Counties (Nassau, Westchester, Suffolk, Rockland), Connecticut Counties (Fairfield and Litchfield), and New Jersey Counties (Bergen and Hudson) can enter the #BEAMAZING Tweetstakes by following @SpiderManMovie and tweeting #BeAmazingNYE daily from December 6th through December 16th to enter. With a background in dance, theater and gymnastics, Jessica Krueger never imagined one of her biggest roles would be a horse. But the Canton native’s turn as one of three puppeteers controlling Joey, the equine star of “War Horse” at the Fisher Theater through Jan. 5, turned out to be among her most gratifying. “In addition to being demanding, I’d also say it’s one of the most incredibly rewarding roles I’ve ever had,” Krueger said. The World War I epic tells the story of Joey, a horse that forms a bond with a young boy named Albert (Michael Wyatt Cox) but is taken to fight for the British cavalry in World War I France, “War Horse” premiered in 2007 in London. A Broadway production that followed in 2011 won five Tony awards, including Best Play. The South Africa-based Handspring Puppet Company, which designed all of the show’s animal puppets, won a special Tony for its work. A big screen version helmed by Steven Spielberg came out in 2011. When buzz began building about the West End show, Krueger’s ears perked up. After a handful of grueling workshop auditions, she was cast to operate the hind end of the towering horse. A three-person team controls “the head, the heart and the hind” of the large horses. Before the tour kicked off, puppeteers plunged into a two-week boot camp to learn the necessary skills that included visiting stables and listening to horse sounds. “The biggest challenge … is that you are one of three, and it’s a lot of practice and hard work with your teammates in terms of developing a full personality of sorts for this animal,” Krueger said. Krueger grew up in Canton and began dancing at age 4. She started competing in gymnastics at 12 and attended Indiana University, where she majored in anthropology and theater. After college, she studied at Circle in the Square Theater School in New York. At STREB Lab for Action Mechanics, she trained and performed as an acrobat. “I always wanted to be an actress since I was about 4 … and I’m happy to have this special skill,” she said. When it comes to becoming Joey, Krueger said the other big challenge lies reacting and thinking like a horse, not a human. “This is the first commercial production that revolves around an animal as the main character that doesn’t sing and dance,” she said. “There was a discussion with the team about how certain stimulus would make us react and how we feel about certain things happening on stage. Joey’s head and hind are conducted through the horse’s body with Krueger and her teammates in harness backpacks going over their shoulders. Chest and waist clips connect them to the cage’s aluminum frame. While the puppeteers have a certain amount of choreography to follow, how to get from point A to point B is up to them. The Joey puppet weighs about 120 pounds with the person at the hind and the heart carrying about 60 pounds apiece. Add to that the weight of the person riding the horse and the fact that the puppeteers are walking in a squatted position during all their time on stage. “We have to take care of our bodies and treat ourselves like athletes to maintain the integrity of the show,” she said. Technical aspects aside, Krueger said the show is filled with breathtaking moments. Krueger said the show does an incredible job of teaching the audience how to watch the unique puppets at the heart of the production. Unlike some other shows, “War Horse” requires the cast to ditch any diva attitudes at the stage door. Being hidden under the puppet’s large metal frame makes for an anonymity that most shows don’t afford, Krueger added. Coming home to Detroit during the holidays is an added bonus, Krueger said. In addition to proudly showing her family her work in the show, Krueger also is anxious to show the city off to her cast mates. 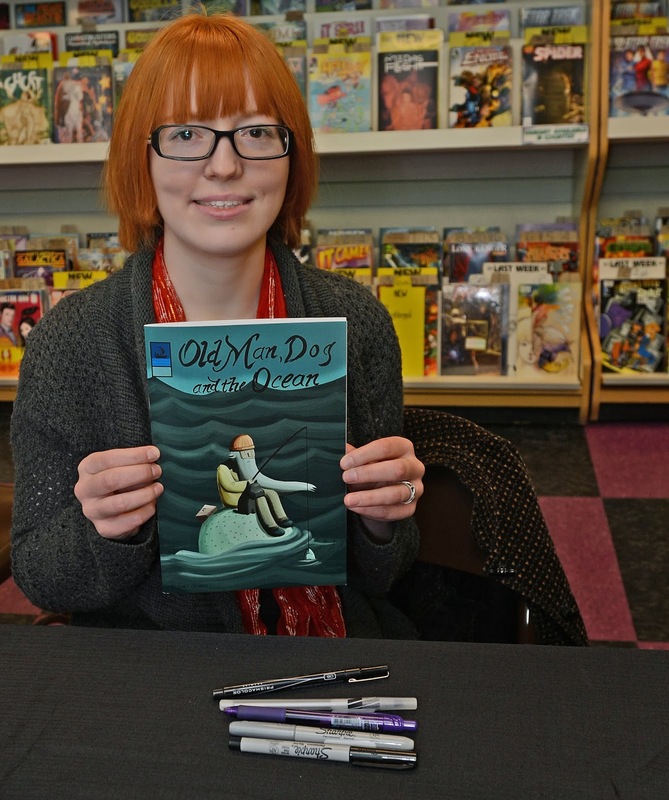 “A lot of people have this specific perception of the city and I’m excited to prove them wrong,” she said. 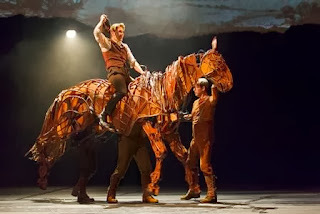 “War Horse” saddles up through Jan. 5 at the Fisher Theatre, 3011 W. Grand Blvd., Detroit. Tickets start at $30 and are on sale at Ticketmaster locations, the Fisher Theatre box office, ticketmaster.com and broadwayindetroit.com and by calling 1-800-982-2787. This post was written by Andrea Blum for Digital First Media. Reprinted with permission. 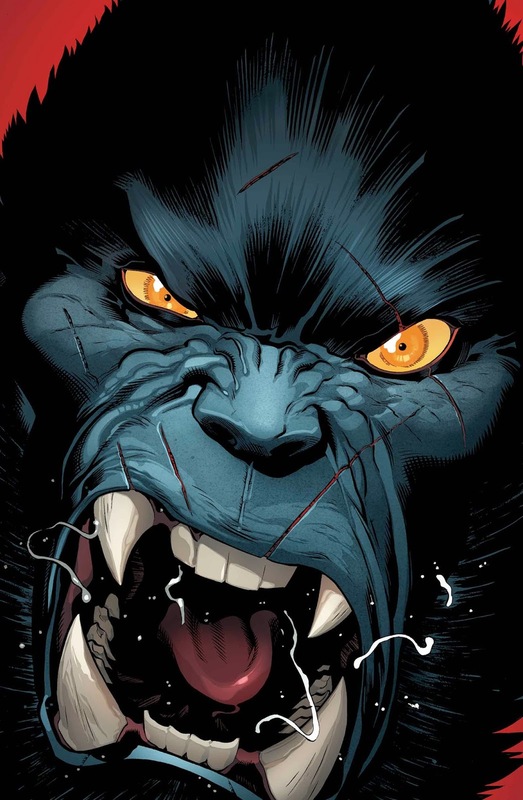 This January, prepare for a Beast like you’ve never seen before in AMAZING X-MEN #3 – from the critically acclaimed creative team of Jason Aaron and Ed McGuinness! Split between heaven and hell the X-Men battle supernatural forces unlike any other – and they’re in way over their heads! 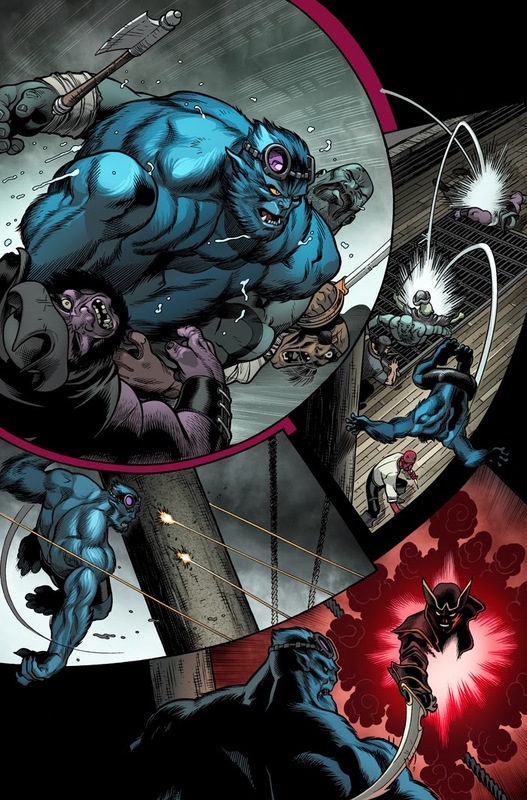 Now, to shut down Azazel and his army of demons – Hank McCoy must unleash his animal side! Plus, the moment you’ve all been waiting for – the X-Men come face-to-face with Nightcrawler! Don’t miss the bombastic AMAZING X-MEN #3 on sale this January! When thinking of Woody Allen, what comes to mind is a combination of subtle and slapstick humor revolving around an eccentric lead character (played by Allen himself). For good measure, the eccentric character usually has social and/or sexual hang-ups. “Blue Jasmine” is not that kind of Woody Allen movie. First of all, Allen makes no appearance, as his role is limited to writer and director. Moreover, “Blue Jasmine” is a somber movie and hardly good for laughs. Jasmine (Cate Blanchett) is a once wealthy woman whose material world falls apart when her husband’s investment enterprises are revealed to be fraudulent. In desperation, Jasmine moves across the country (from New York to San Francisco) to live with her sister, Ginger (Sally Hawkins). The arrangement is a sort of dark version of “The Odd Couple.” Ginger, a single mother of two boys, is used to hardship. But struggle is something new to Jasmine and she finds it humiliating to be poor and looking for menial work. Not that Jasmine has accepted the reality of being poor. Along with retaining her spending habits (much to Ginger’s chagrin), Jasmine also has retained a sense of snobbery. She looks down on Ginger’s working-class boyfriend Chili (Bobby Cannavale). And it is a cruel irony that Jasmine (whose own husband was unfaithful to her and went to prison for bilking people out of their savings) feels herself in a position to judge Ginger’s taste in men. But Jasmine’s unrealistic disposition also is due to acute mental illness. We learn that prior to moving in with Ginger, she had been roaming the streets in New York talking to herself, resulting in involuntary hospitalization. And she continues to exhibit the symptoms of mental illness, as she reverts to spells of incoherence and talking to herself. Yet Jasmine’s mental illness is just as acute when she is conscious. She is a pathological liar and she tells a new boyfriend that she is an interior designer (a profession to which she aspires). She makes no mention to her boyfriend of her past or present circumstances. All of this is exposed when the couple is confronted by Ginger’s ex-husband Augie (Andrew Dice Clay). The movie reverts to Jasmine’s life in New York with her husband Hal (Alec Baldwin). Hal is a very indulgent husband, albeit unfaithful. Things come to a head when he informs Jasmine that he is leaving her for an au pair who is still in her teens. Jasmine seems hysterical over Hal leaving her, but she has enough of her faculties that she is able to contact the FBI about Hal’s fraudulent schemes. Of course, the implication here is that she knew all along about his shady deals, including when Hal bilked Ginger and her ex-husband out of their savings. The film ends with Jasmine plunging into her pretend world, as she tells Ginger she is getting married (to the boyfriend who has dumped her). It is a tragic and uncertain ending with Jasmine left talking to herself on a street bench. We can only speculate on her fate. Allen is a genius film writer and director. And though “Blue Jasmine” is no masterpiece, Allen proves in this movie that his skills are by no means limited to comedy. Still, he is at his best with his esoteric comedies and one cannot help wondering if he does occasional drama just to prove he can. Blanchett is a cinch for an Oscar nomination and Allen is also very much in the running for a nomination (for both directing and the screenplay). Too bad he doesn’t attend the Academy Award ceremonies. If he wins the Oscar for either best director or best screen play, it will be interesting to see who accepts the award on his behalf. 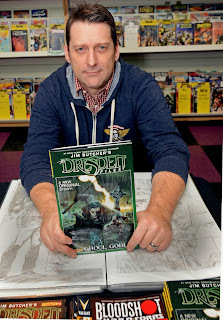 This review was written by John O'Neill for Digital First Media, reprinted with permission. More than just the cast members and community had to “wait ‘til next year” for the MTV show of the same name to find a spot on TV. Producers and other members of the crew also had to wait to see whether their hard work would ever see the light of day. SLIDESHOW: "Wait 'Til Next Year"
Don Kaplan, now a columnist for the New York Daily News, recently wrote a column about the half-decade long wait it took to get the show from conception to the screen. He went on to write that the crew was “clueless” as to what it would take to get the idea on the air. He called the long wait a “doozy,” even by industry standards. The show, which followed the 2011 Lincoln Park High School football team through a season in which they broke the state record for consecutive games lost, wrapped filming in early 2012. It didn’t debut on the network though until near the end of the high school football season this year, almost two years after the season the show followed. The team had lost 43 games in a row when the 2011 season began, and went winless until late this season to stretch the streak to 66 games. No official statement regarding the delay was ever released by the network, Kaplan said in his column, adding that he was not privy to those details, either. The “groundbreaking” way to debut the show that was referenced was that about a week before the show began to air, the entire 12-episode run was released to the MTV mobile app. The show then aired with two episodes each Friday during the season. Kaplan does, however, speculate about some of the reasons the show was delayed. He wrote about the network having three different top executives while the show sat collecting moth balls — and how those executives viewed the show. Kaplan said that, in the end, the show cost the network about $10 million to produce, which included years of development and time spent scouting schools in Los Angeles before Lincoln Park eventually was chosen. The show itself was not what many viewers expected from the beginning. It wasn’t until the third episode of the season that any on the field action was shown, instead spending time introducing the “characters” who would be followed throughout the season. The show primarily followed around nine people. At the time of the show, Jim Kalbfleisch was returning to the team he had coached previously twice before, including to a playoff berth in 2002. The show described him as a “crusty old veteran who came out of retirement for one last challenge.” He continues to coach basketball at Huron High School, where he led both the boys and girls teams to district championships in 2012. He’s coaching both basketball teams again this winter. The show followed the team as it bonded through practices, parties and pranks. It showed the team aspiring to make the playoffs in the preseason and then struggling with the realities of losing each week. The season is finished airing on TV, but each episode is available through the MTV app. No details of a potential DVD release were made available by the network. 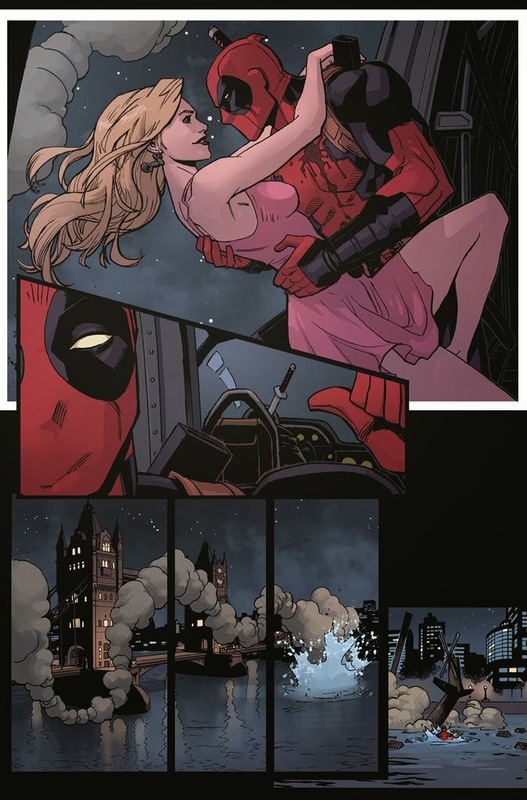 The Merc With a Mouth Fights Dracula & More in Marvel’s Latest Infinite Comic! Prepare for a Deadpool epic unlike any other (and that’s saying something) when Deadpool: The Gauntlet #1 – the latest game-changing Infinite Comic hits digital devices weekly starting in January! But that’s not all! We’re rolling out the red carpet for ol’ Wade Wilson by offering up his first Infinite Comic adventure for FREE. Available January 15th – Deadpool: The Gauntlet #1 will be available at participating retailers – completely FREE while supplies last! 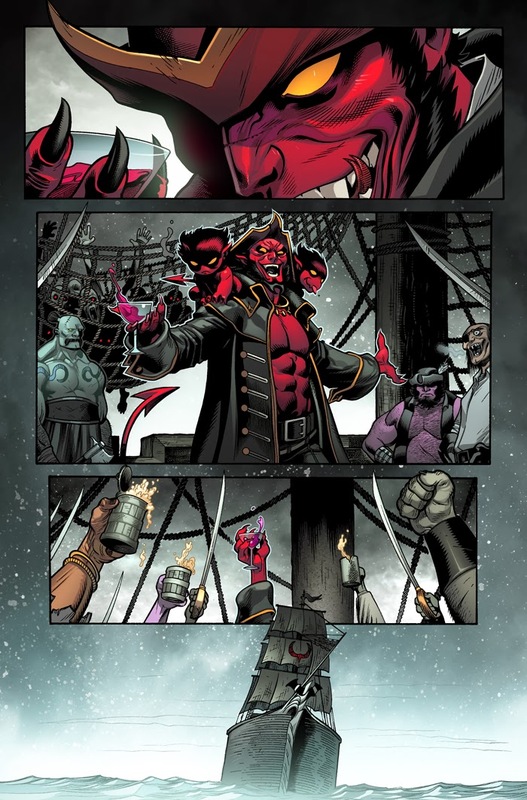 From Deadpool writers Gerry Duggan and Brian Posehn along with red hot artist Reilly Brown comes an all-new 13-part adventure that takes Deadpool into unknown! Dracula has a very important package he needs delivered – and only the Merc With the Mouth can be trusted. 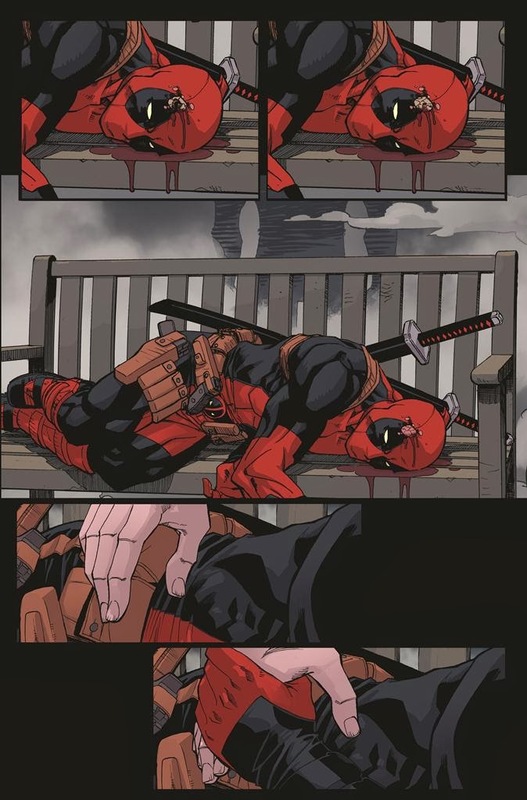 Don’t miss the most exciting new Deadpool story that will send shockwaves through the main Deadpool series in 2014! 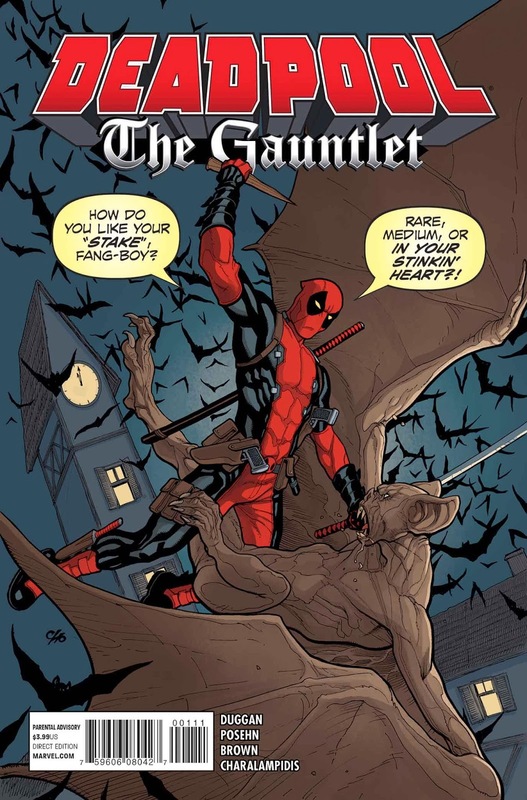 Head to your local comic shops on January 15th for a free copy of Deadpool: The Gauntlet #1, while supplies last! At participating locations only. 1. Play the NEW The Walking Dead personality test to find out how long you’d survive in a zombie apocalypse. 2. Watch The Walking Dead webisodes directed by Greg Nicotero: “Torn Apart,” which tells the back story of Bicycle Girl; “Cold Storage,” which follows a group of survivors at a storage facility; and “The Oath,” the story of two survivors fleeing an overrun camp in search of a medical facility. 3. Go behind-the-scenes of Season 4 with photos of the cast and crew filming on location in Georgia. 4. Prove your devotion to the show with The Walking Dead Ultimate Fan Games which quiz you on seasons, episodes and even walkers from the series. 5. Turn yourself into a zombie with the Dead Yourself App then transform your friends into the undead with Dead Yourself’s Bite Me feature. 6. Play The Walking Dead: Dead Reckoning, an adventure game that casts you as officer Shane Walsh at the outset of the apocalypse. 8. Sign up for Dead Alert: The Walking Dead Newsletter to keep up-to-date on the latest features about the show (and possibly win some cool swag). The Walking Dead New Year’s Eve & Day Marathon begins on Tue., Dec. 31 at 9AM/8c on AMC. 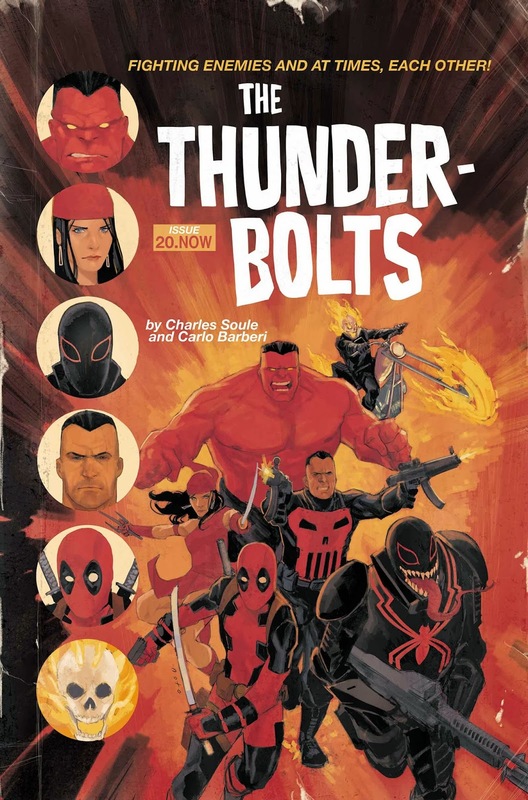 Marvel is pleased to present your first look at THUNDERBOLTS 20.NOW – from the red hot creative team of Charles Soule and Carlo Barberi! 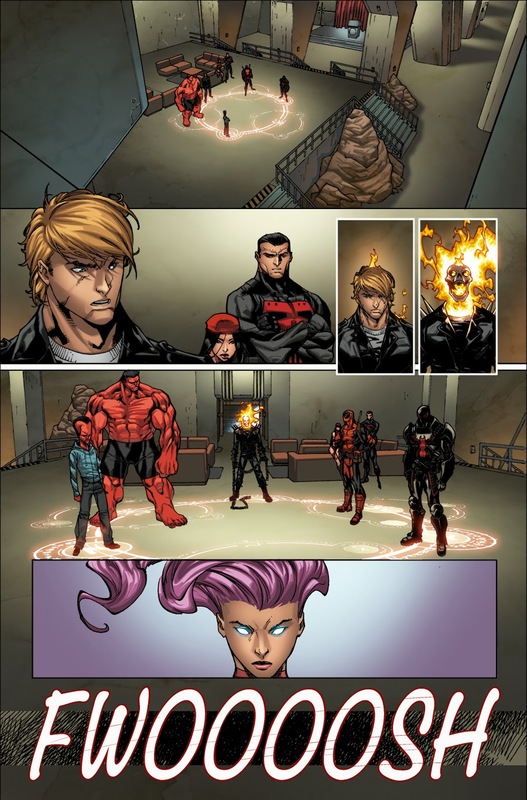 General Ross’ ragtag team of Thunderbolts were brought together to solve the problems that no one else could. But what happens when the problem…is one of them? The god-like Mercy has continues to wreak havoc and destruction – leaving nothing but blood and bodies in her wake. 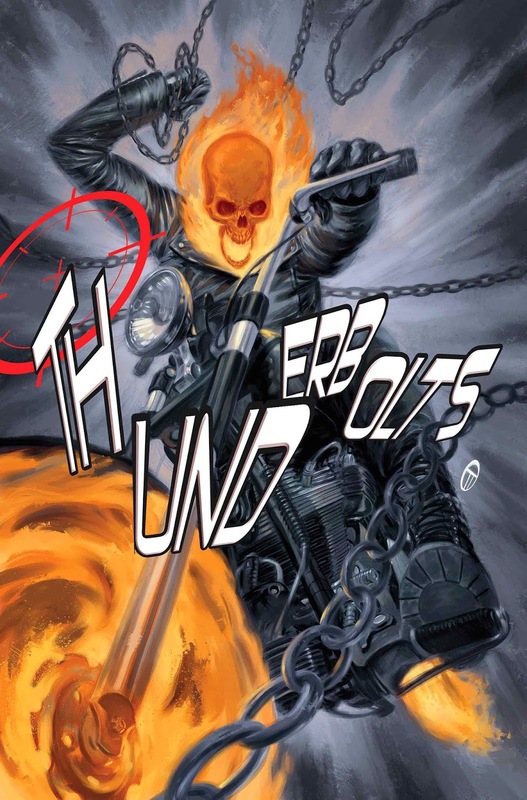 She’s gone too far – and the Red Hulk has turned to an unlikely ally in his quest to shut her down for good – Johnny Blaze, the original GHOST RIDER! 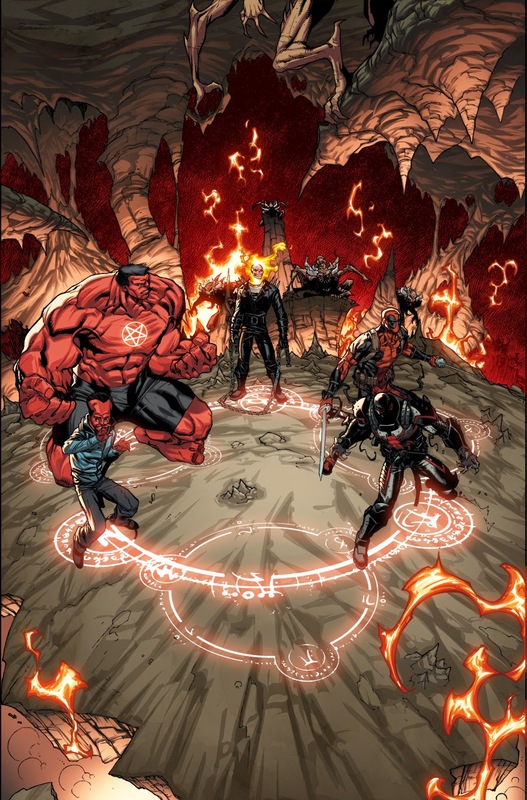 But even the Spirit of Vengeance himself may not be enough to keep this team of sinners and killers out of hell itself. Or maybe he’ll lead them there? Find out when Thunderbolts explodes onto the All-New Marvel NOW! 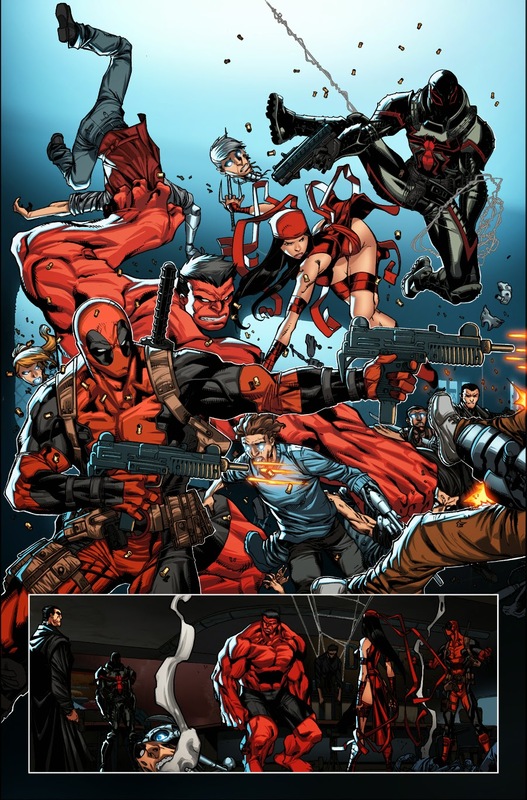 scene in THUNDERBOLTS 20.NOW this January! 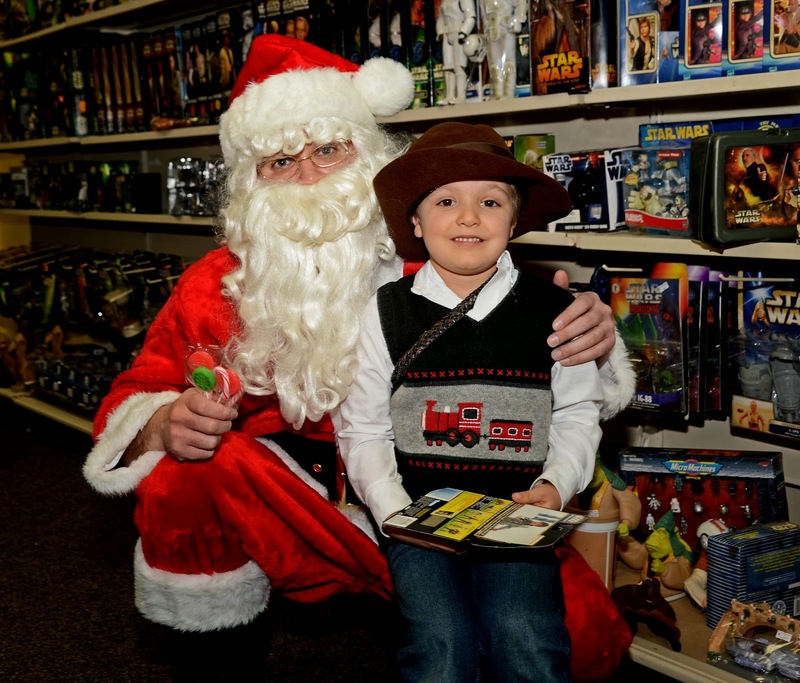 Two local comic book stores celebrated the holiday season over the weekend. 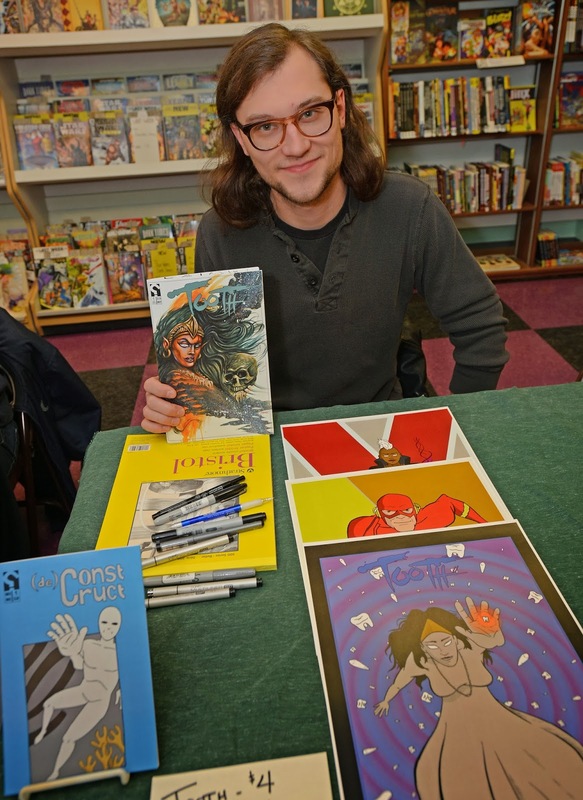 Big Ben’s Comix Oasis, 6711 Allen Road in Allen Park, and Green Brain Comics, 13210 Michigan Avenue in Dearborn, each celebrated the holiday season recently. Big Ben’s had Santa stop by the store for a few hours before he headed off to finalize his naughty and nice list, while Green Brain hosted its annual “Mid-Winter Market,” which brought in several writers, artists and other creators to celebrate the season. Guests at Green Brain included the artist behind “The Dresdin Files” comics, Joseph Cooper, along with other artists: Emily Zelasko (”Snow,” “Jinx”); Kelly Guillory (”Blood Money,”); and Jason Tipton (”Tooth”). Crafter Megan Dubrinsky, who makes Pop culture-related carrying bags, was also at the store selling last-minute holiday gifts. Superman was created 75 years ago and has been fighting off the bad guys and meeting his newsroom deadlines ever since. 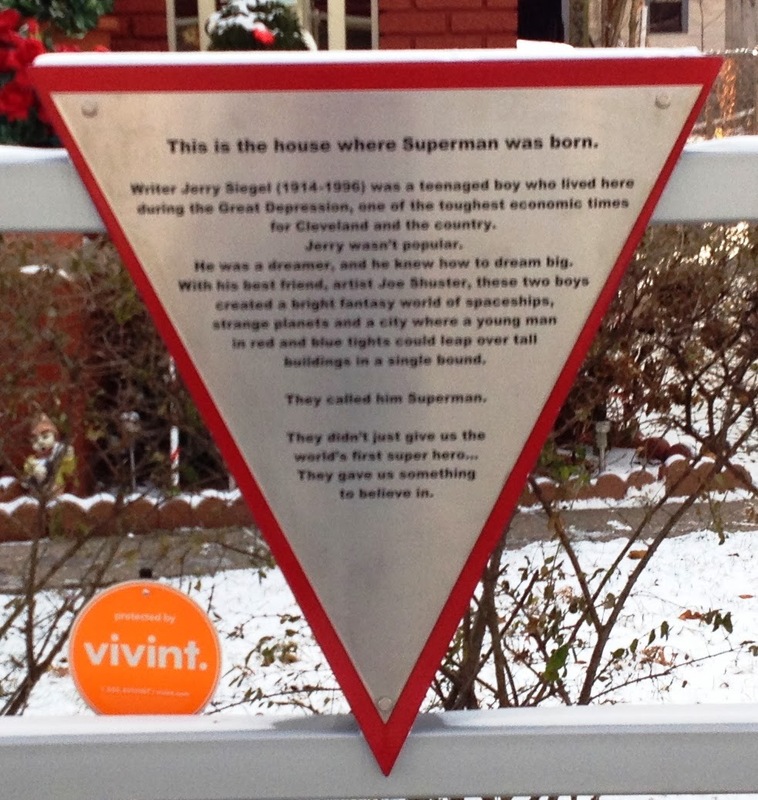 Some think that Superman is from the far-off planet of Krypton, but he was really conceived in a small neighborhood on Cleveland’s west side. Writer Jerry Siegal and artist Joe Shuster, high school students in 1933, came up with the idea for Superman, but he wasn’t officially born into the Detective Comics — Later DC Comics— universe until June of 1938 when “Action Comics #1” was released with the “Man of Steel” on the cover lifting an automobile over his head. 2013 is recognized as the official 75th birthday of Superman — or Clark Kent, as he is known in the Daily Planet newsroom. Cleveland is only about a two-and-a-half hour drive from the office here at The News-Herald Newspapers, so I knew early in the year that I would have to finally make my pilgrimage to the place of his birth. SLIDESHOW: Photos from my trip to the House of "El"
I’ve been to Cleveland a time or two before, for wrestling tournaments when I was in high school and other various reasons, but I’d never had the opportunity to visit the places where Schuster and Siegal thought up the idea for Superman. Therefore, that became one of my goals for 2013. As the year went along, week after week, I couldn’t find the time to go. Finally the first week of December, I knew it was likely my last chance to make it this year. I planned ahead, and even managed to slip in a work-related trip to the “A Christmas Story,” house that is only a few miles away from where Superman was born. Barring interruption from Lex Luthor or some other member of Superman’s gallery of rogues, I would make my journey and be able to photograph it as well. Superman has long been a character I followed, but once I decided that working at a newspaper was the way of my future, he shot way up the list. Sure, there are other heroes that work in the news business —such as Billy Batson in the “Captain Marvel” comics or Peter Parker from the “Spider-Man” comics — but few work as reporters at a newspaper. Clark Kent was just that. The character has undergone many changes in his 75 years, but many aspects of him have stayed the same. He still stands for truth and justice — regardless of what “Man of Steel” director Zach Snyder changes about the character in last summer’s blockbuster or the pending sequel. The character is a man of character, and also never misses a deadline. For someone in the business, that’s something to be accounted for. His origin story is well known to those who follow the comics: Born as Kal-El on the planet Krypton, Superman was put into a rocket ship and blasted to Earth by his scientist father just moments before the planet exploded. Krypton was a planet under a red sun, so once on Earth with our yellow sun he was slowly imbued with powers that included impenetrable skin, super strength, super hearing, super eyesight, heat vision, freeze breath, super speed and the ability to fly. In the hands of a different man, those abilities could have meant the end of the world as we know it, but he was also instilled with a strong moral compass by his adoptive parents on Earth, Jonathan and Martha Kent. Given the name of Clark Kent, he was raised on a farm in Kansas and eventually moved to Metropolis where he would be able to help more people. Initially, he took the job of a reporter so that he could be around when news of major events happened. In recent years, the character was updated for the modern world. He quit his job at the Daily Planet and struck out on his own to become a blogger. 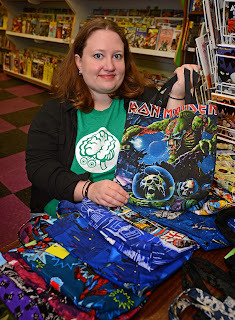 The comics, the television shows — both live-action and animated — video games and other places where the character and I managed to interact were magical as a child. I’m still a big fan — that won’t be changing anytime soon. So on that day in early December, I grabbed my jacket and away I went. Once in Cleveland I took care of the business side of the trip first, which included a tour of the house from “A Christmas Story,” and then headed over to Siegal’s house. The house is nothing special on its own, but there are a few Superman logos on the house and the fence in front has a large logo and short tale about Siegal growing up there. Rather than turn the house into a museum though, a family still lives there. The house was decorated with holiday lights while I was there. At first it seemed a bit strange just to stop in the middle of a neighborhood and snap photos of a house, but I figure they wouldn’t be putting the signs up if the family didn’t want gawkers to stop and admire. The next stop was an empty field a few blocks over. The house where Shuster grew up is long gone, but the property remains with a fence around it. Being that he was the artist of the duo, large replicas of the first 13-page Superman story were hung on the fence around the property. Unfortunately, they aren’t all there anymore. A few years ago a drunken driver smashed through the fence and destroyed some of the signs. They haven’t been fixed yet. Cleveland the home of Superman. The sign was placed in a small park just outside of the neighborhood that Shuster and Siegal grew up in. Having stopped to see the sign, the journey home began. Sure it only took about 15 minutes to see all three stops, and it was almost six hours in a car to do it, but I’d do it all again if anyone wanted a traveling partner for their own pilgrimage. The only real snafu on my trip through the houses of El, that jacket I grabbed at the beginning of the day had a Batman logo and the words “The Dark Knight,” splayed across the front.